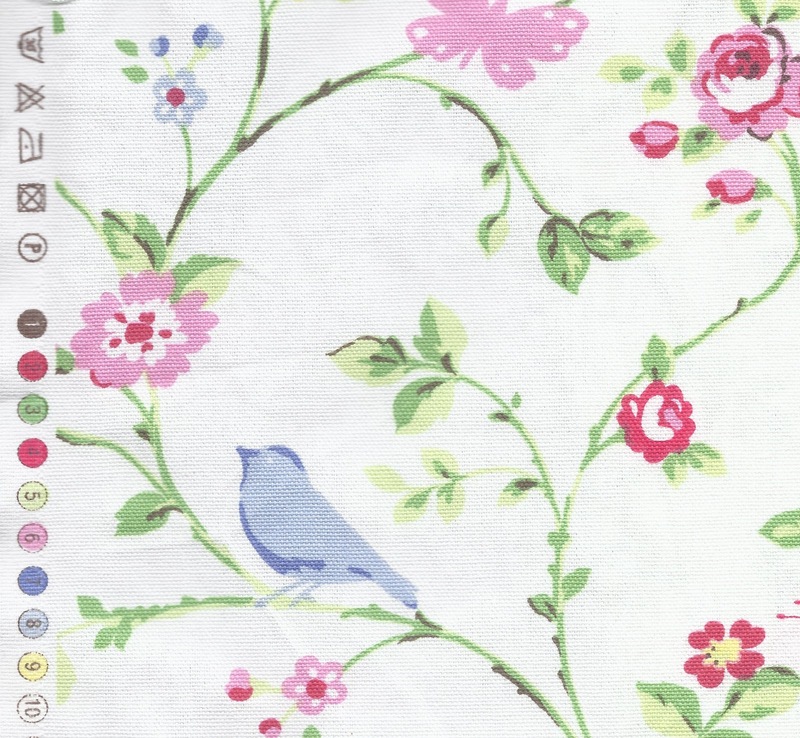 I love Clarke and Clarke fabric this range called ‘the bird trail’ is one of my favourites, the birds and flowers are so pretty, I bought them at Falcon Fabrics they have a huge range of these lovely heavy weight cottons. I find them so pleasing to work with. 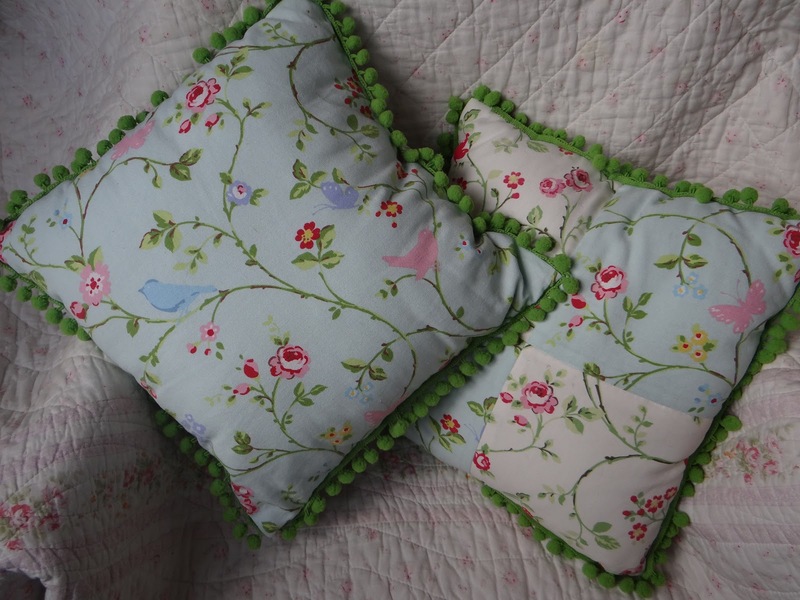 I want to use up every scrap which is where these cushions come in. 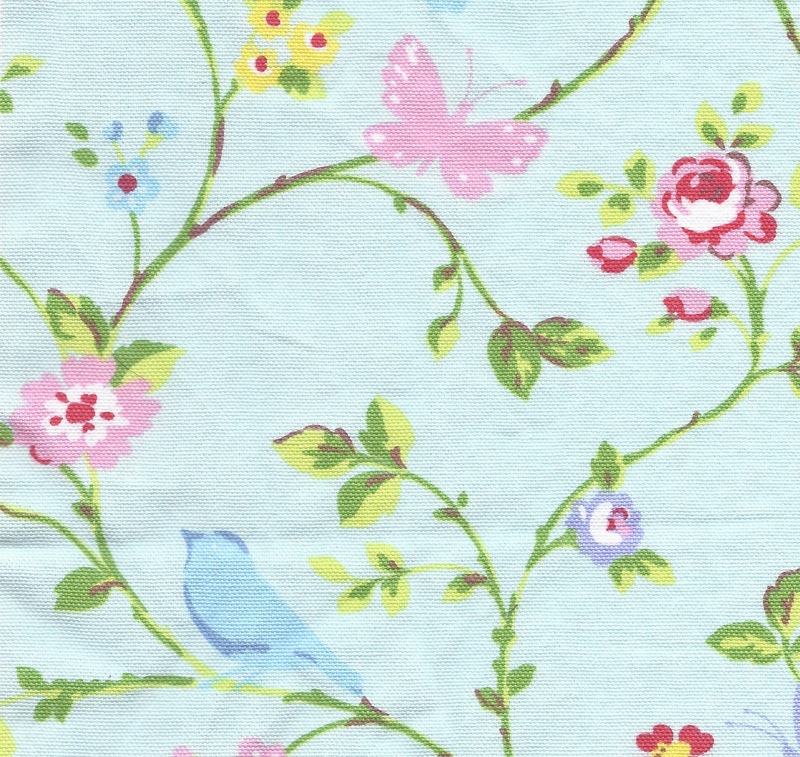 Patchwork is perfect for making the most of every small remnant of fabric however I often struggle to cut up beautiful designs. The large pattern repeat needed large squares otherwise the design would have been completely lost, so I used 8 inch squares. The duck egg blue background is one of my favourite colours; one of the challenges of duck egg is that it is so difficult to match, greens look odd, blues look odd, it is really only a similar combination of blue green that seems to work well. 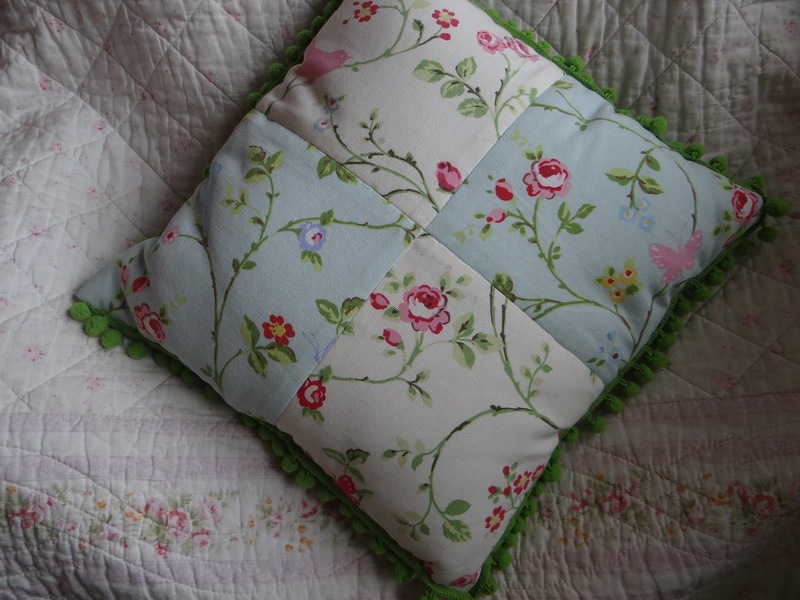 To have used the same in the edging would have resulted in a rather dull cushion, but by picking up the traces of vibrant green in the design itself has lifted the pattern really well. Colour matching is one of the hardest elements of design I do understand the basics of colour theory, complimentary colours, tones, accents, but most of the time the ‘theory’ eludes me, I just look at a colour and it seems to sing together. Colour theory would suggest that the green does not go well with the duck egg, and most probably on a sheet of paper it doesn’t, but by picking out the green from the stem the fringing has lifted the design. If I am still short of ideas, then I look to the colour block on the selvage for clues as you can see on the left the green is the third colour. This project was satisfyingly easy, once the accuracy of the cutting and seaming had been done, it came together nicely. The backs of the cushions are one piece of the duck egg so I can change the look depending on how I feel.